This week is certainly one that will go down in history for Facebook’s founder, Mark Zuckerberg; turning 28, taking Facebook public at a $ 104 billion valuation but most importantly marrying recently medical UC San Francisco graduate, and longtime girlfriend Priscilla Chan. 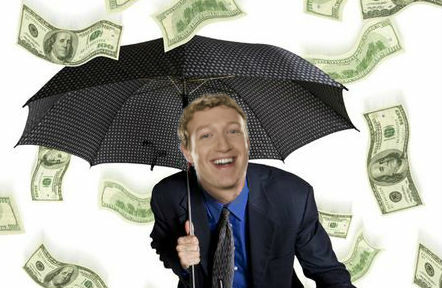 Now that Facebook Inc. has become a public company, wearing a hoodie will be the least of Mark Zuckerberg’s concerns. Mark apparently received some condemnation for his apparel when the social-networking giant was pitching its initial public offering to investors. Zuckerberg will remain Facebook’s most-powerful shareholder after what has turned out to be a modestly successful IPO. His personal stake in Facebook is now worth around $19.1 billion, making him richer than Google co-founders Larry Page and Sergey Brin, according to Bloomberg’s Billionaires Index. Going public has made him the 29th-richest person in the world. Santa Clara University law professor Stephen Diamond argued that investors did in fact want to Zuckerberg to stay in charge, since he is the one responsible for where his company is today. On the other hand, shareholders are worried that if things go wrong- which presumably they will- Zuckerberg might not be capable of dealing with some of these challenges. “The hoodie debate” personifies these concerns; it is quite venturesome to invest in an individual who holds so much power, and is relatively so young and inexperienced. So, ultimately who are the big winners of the IPO? 1. Sheryl Sandberg; the company’s chief operating officer has been on board since 2008 when she was propelled to leave Google. Her current salary is a modest $300,000 which has helped by almost 1.9 million shares, which are now worth $72 million. Not too bad huh? 2. Reid Hoffman; LinkedIn founder has been on board very early on when he, alongside Peter Thiel in 2004 had invested in Facebook. Back then, Myspace was dominating the social scene, yet their smart move paid off; Hoffman’s remaining stake is now worth $138 million and Thiel is valued at $1.1 Billion. 3. Paul David Hewson ( or most commonly known as U2’s front man, Bono) ; it turns out that Bono is also part of the Elevation Partners investment group, which has an almost 1.5% stake in Facebook. Elevation is taking $176 million off the table, and will still be left with a whopping $1.3 billion. This ought to compensate for the company’s disappointing investment in Palm and Forbes magazine. Let us know how you feel about these historic chain of events, whether you actually take them to heart or simply do not regard them as important, we’d love to hear from you! Looking for a simple, elegant backup solution? 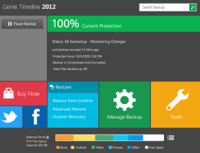 Genie Timeline 2012 is a new version of the number one continuous data protection program Timeline 2.1. It offers the first metro style user interface; enhanced performance, and added features. Like us on Facebook and Follow us on Twitter for the latest news. Next While Facebook says “I do”, Microsoft says : ” I object” ! Previous Google: things, not strings!